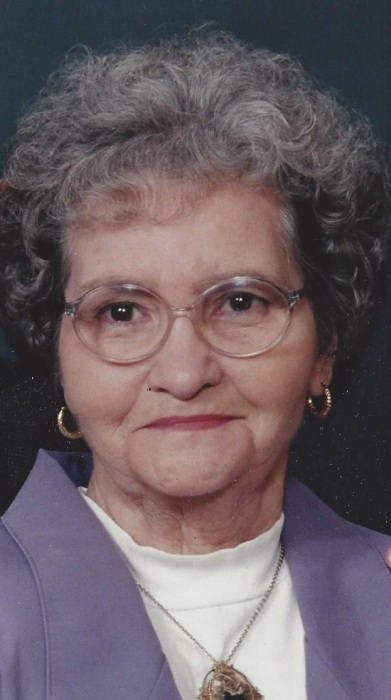 Kathleen Sue Johnson, 90, of Paducah passed away on Sunday evening, April 7, 2019 at the home of her daughter: Debbi Johnson. Kathleen retired from Western Baptist Hospital Child Development Center after 20 years of loving on many, many children. Surviving children are Gerry Reed (Bonnie) of Bowling Green, Kentucky, Debbi Johnson of Paducah and Linda Keene (Jim) of Tucson, Arizona. She is also survived by grandchildren: Michael Reed (Michelle) of Scottsville, Kentucky, Maggi Johnson of Paducah, Todd Keene (Linett) of Clarksburg, Maryland, and Tarri Woodley of Tucson, Arizona. Great grandchildren are Duel and Kara Reed, Paul and David Keene and Sophie Woodley. Kathleen was preceded in death by her husband, James A. Johnson, parents Alton and Marguerite McReynolds, her sister Dorothy Purcell, and brothers Aubrey, Waymon and Neal McReynolds. The family wishes to extend their heartfelt thanks to Lourdes Hospice, hospice nurse Charlotte Riedfort, and to Caring People Services and their sitters. We will always be grateful for the exceptional love and kindness shown to Grandma by those who cared for her. Services will be at Keeling & Goodman Funeral Home on Wednesday, April 10, 2019 with Rev. Alan Strong officiating. Visitation with the family will be from 10:00 a.m. until 12:00 noon. The funeral will be at 12:00 noon on Wednesday, April 10, 2019. Burial will follow at Woodlawn Memorial Gardens.